Whenever you do this you will never get the same result twice as each time the ink will lie in a different position on the card. And I have created the sea by Smooshing on Parchment as well as the card. 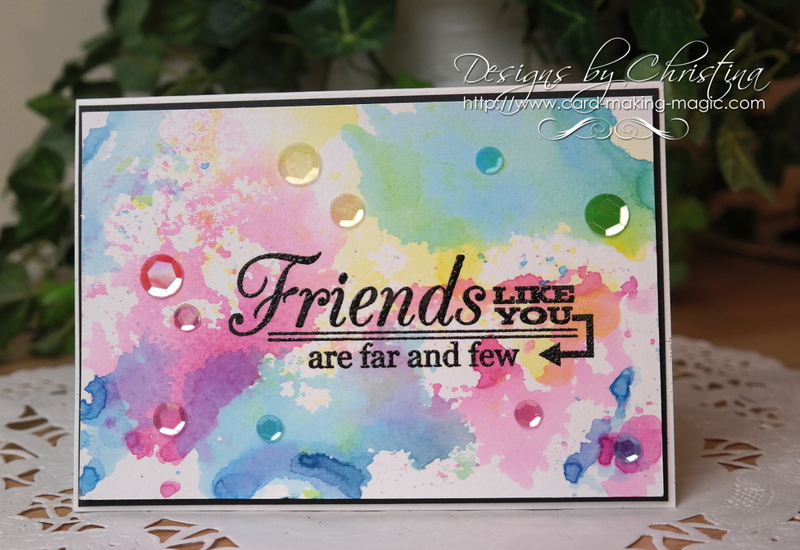 For the card to the right the inks I have used are Squeezed Lemonade, Picked Raspberry and Salty Ocean and these three colours played really well together. 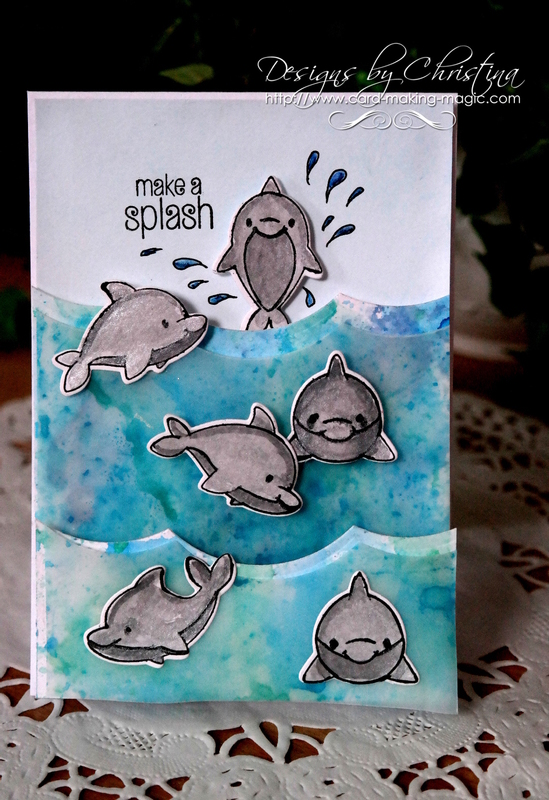 Just let the ink flow wherever it wishes to go in the water and dry it with your heat tool in between. This stops the inks reaction to the water and allows you to add another layer on the top if you wish. Adding more colour while it is still wet means that the colours will run together and may become muddy on you project. But please remember that there are no mistakes in crafting ... simply happy accidents that you can turn to your advantage.